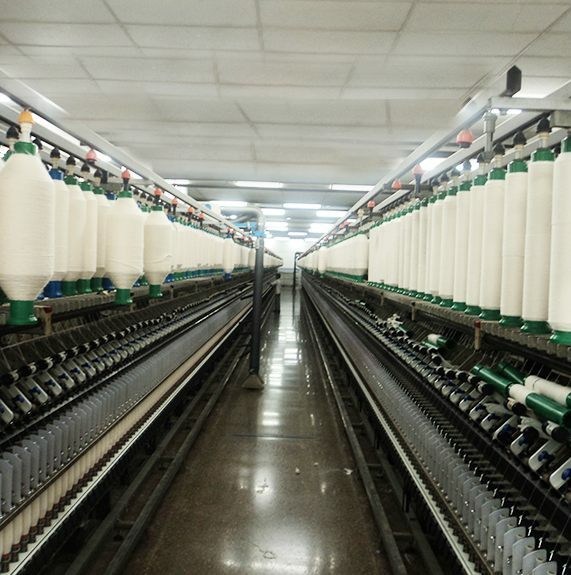 Yarn is the nucleus for success of any denim brand. 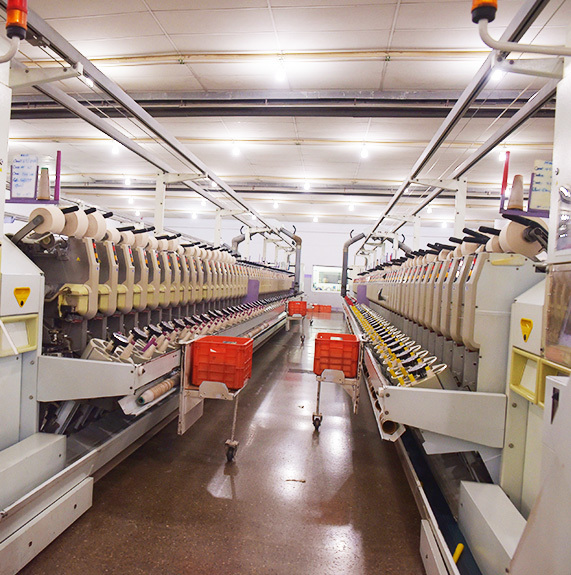 ADM spinning unit is equipped with state of the art latest machineries with Amsler Technology to provide high quality yarn and complete backup support. Incessant investments has been injecting for innovations and numerous yarn effects. 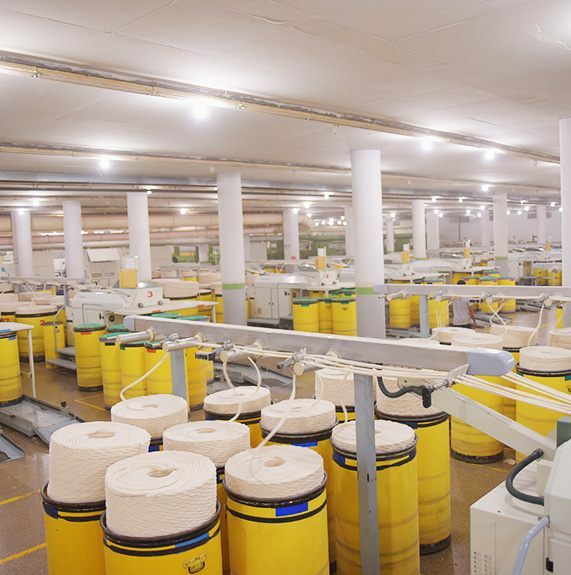 The unit is equipped with 18000 spindles producing 1.6 million kg of yarns per month. 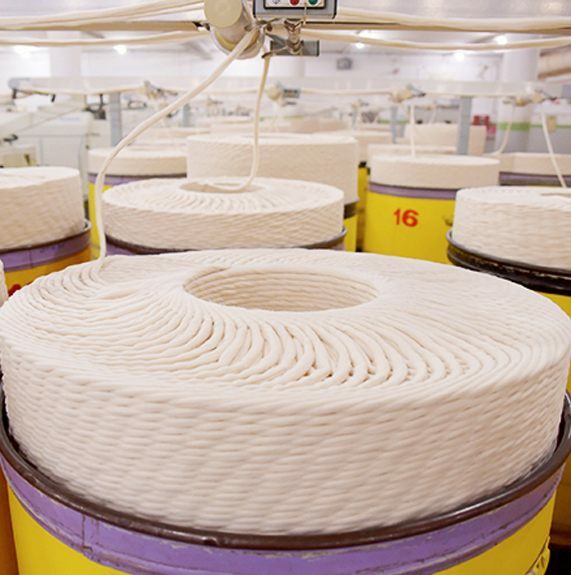 A variety of yarns from 5.5 single to 18 single are produced in open end, ring spun, core spun Lycra, core spun T400® and special DualFX™ yarn. 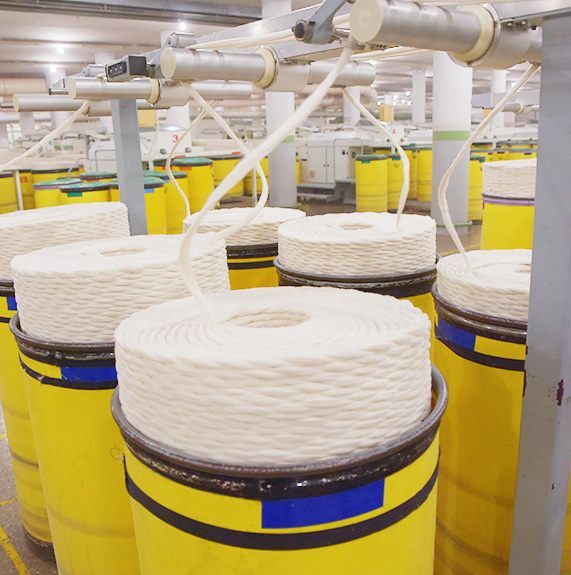 ADM is equipped with 24 Ropes dyeing (2 Machines) with a capacity of 140,000 meters in one run. ADM is the 12th Mill in the world to be using Liquid Indigo directly from Dystar Germany. 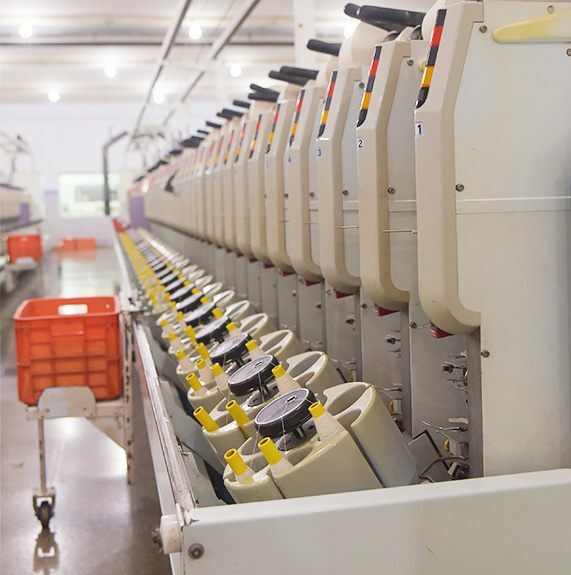 The temperature controlled dye box environment combined with fully automated feeding system ensures consistency of shade all the way. Weaving consists of Airjet looms from Pinacol, Rapier from Smit and Projectile from Sulzer. The Belgium /Italian/ Swiss technology enables weaving of all type of denim fabrics in weights from 7oz to 15oz. 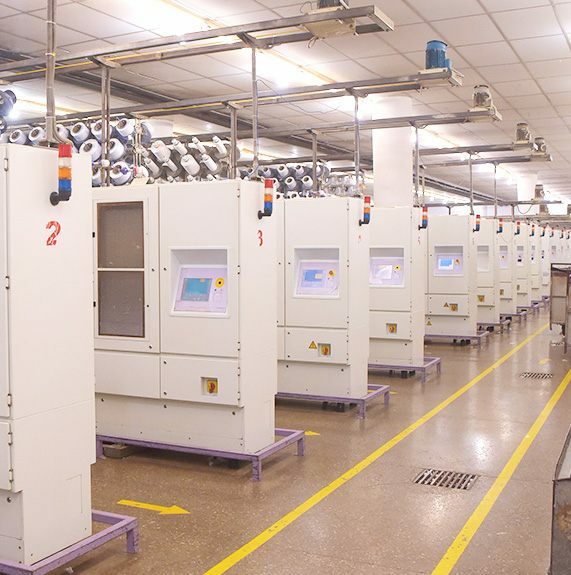 All machines are centrally monitored and controlled to produce defects free quality. ADM 's finishing is spread over in following process: For making the fabric looks flat with enhanced hand feel and cleaner optics. Normal finishing with singing, drying, shrinkage, skew control and Sanforizing. ADM has been known for its quality products among its customers all over the globe. We believe quality is an important driver to earn customers loyalty. ADM has been developed quality control infrastructure to provide utmost excellence standards on all production stages.